After a collision, your car may still be driveable but it won't be pretty. Scratched paint, cracked bumpers and dented doors can all leave your car looking worse for wear. 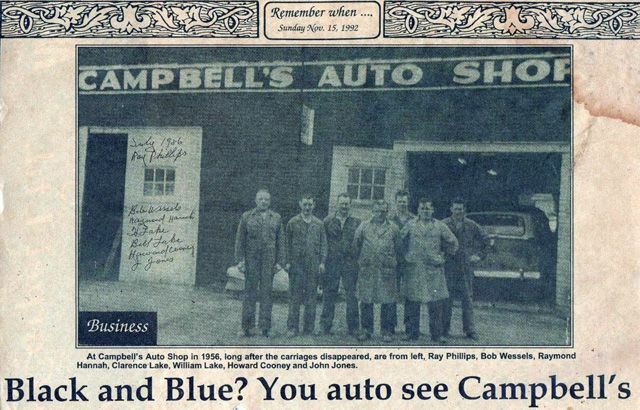 But at Campbell's Auto Shop Limited, located in Belleville, we can restore your vehicle to its old condition. 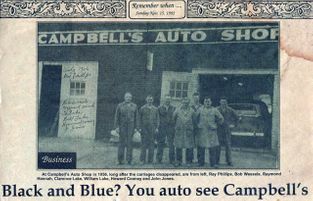 We have a long history as a family business that has been in operation since 1915, and our current owner has been working since 1970. That tradition of service means you can trust that you'll be working with experienced technicians. Best of all, we guarantee all of our work. Our customers count on us for the high quality of our work, and range from brand new drivers to senior citizens. Big or small, we'll take the job, including complete restorations and collision repairs. We offer free estimates on all of our work, so what are you waiting for? Contact us today to schedule an appointment.